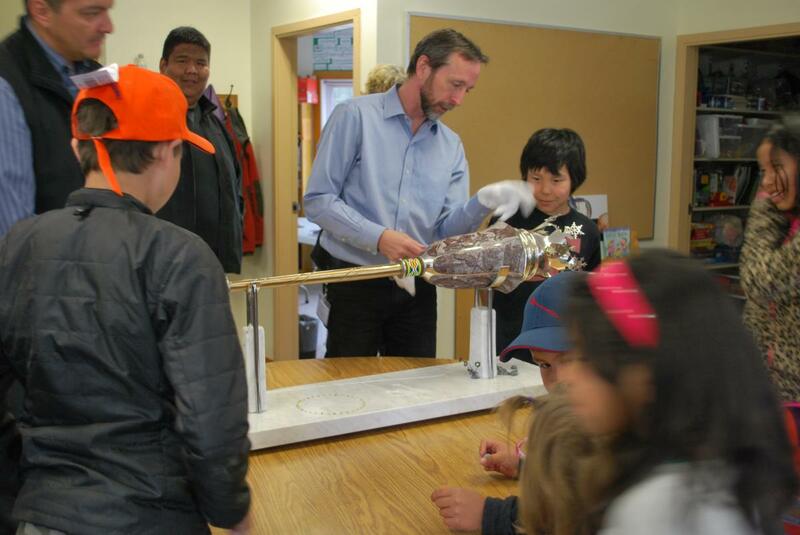 As an educational outreach program of the Speakers’ Office, the Mace Tour connects the Legislative Assembly and its elected officials to NWT communities that do not have direct access to the Legislative Assembly building in Yellowknife. Overall, the Mace Tour serves to personalize the Legislative Assembly and its officials while educating NWT’s youth and residents about consensus government, the Legislative Assembly, Members of the Legislative Assembly (MLA’s), and staff of the Office of the Clerk. 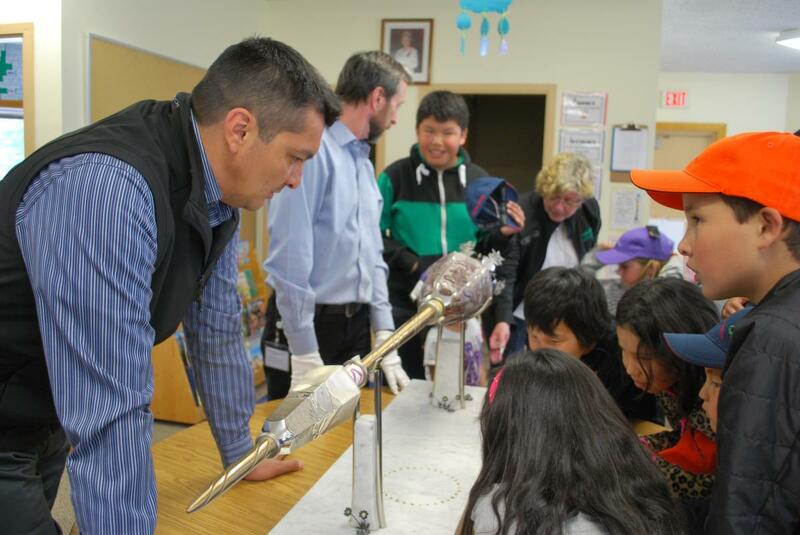 Since its 2006 inception, the Mace of the Legislative Assembly has travelled to 11 of NWT’s 33 communities including Whati, Hay River, Hay River Reserve, Fort Resolution, Sachs Harbour, Fort Smith, Fort Simpson, Nahanni Butte, Trout Lake, Fort Good Hope, and Norman Wells. During the Mace Tour, which may be 1 to 3 days in length, the Speaker, the constituency’s MLA, the Clerk, the Sergeant-at-Arms and the Public Affairs and Communications Advisor travel together to a community to visit schools and provide presentations about the Legislative Assembly. The Sergeant-at-Arms is responsible for explaining the legislative importance of the Mace and its art and symbolism. During the 18th Assembly, the Mace Tour will be an annual event and eventually all of NWT’s 33 communities will be visited. While visiting the Kakisa School, Speaker Jackson Lafferty and Brian Thagard, Sergeant-At-Arms, discuss the art and symbolism of the Legislative Mace.